Forest-management practices relying on natural and/or artificial regeneration and domestication can significantly affect genetic diversity. The aim of the present study was to determine and compare the genetic diversity of the pristine old-growth, naturally and artificially regenerated and phenotypically selected white spruce, and to determine the genetic-diversity impacts of silvicultural practices. Genetic diversity was determined and compared for 51 random amplified polymorphic DNA (RAPD) loci for the adjacent natural old-growth, naturally regenerated and planted white spruce stands at each of four sites, one oldest plantation and open-pollinated progeny of 30 phenotypic tree-improvement selections of white spruce from Saskatchewan. Each of the 420 white spruce individuals sampled was genetically unique. The old-growth stands had the highest, and the phenotypic selections the lowest, genetic diversity. The genetic diversity of the natural regeneration was comparable to that of the old-growth, whereas the genetic diversity of the plantations was comparable to that of the selections. On average, the genetic diversity of the old-growth and natural regeneration was significantly higher than that of the plantations and selections. The mean percent of loci polymorphic, the number of alleles per locus, the effective number of alleles per locus, heterozygosity, and Shannon’s index was 88.7, 83.8, 72.2 and 66.7; 1.89, 1.84, 1.72 and 1.67; 1.69, 1.62, 1.53 and 1.46; 0.381, 0.349, 0.297 and 0.259; and 0.548, 0.506, 0.431 and 0.381 for the old-growth stands; natural regeneration; plantations; and open-pollinated progeny of selections; respectively. 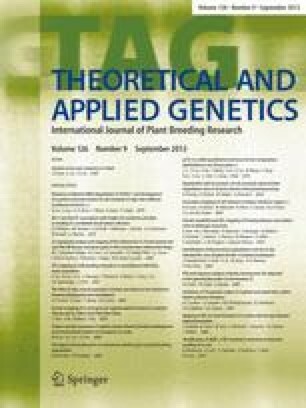 Reduced genetic diversity in the plantations and selections suggest that their genetic base is relatively narrow, and should therefore be broadened in order to maintain genetic diversity, and sustainably manage and conserve white spruce genetic resources.